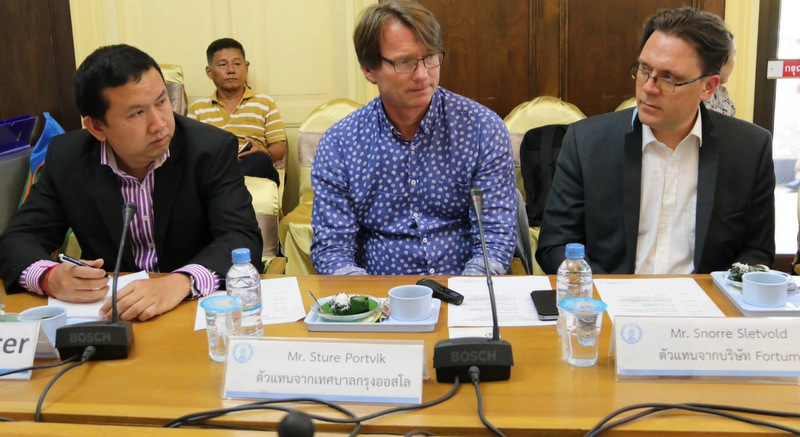 Sture Portvik, Project Leader E-mobility for Oslo, the electric car capital of Europe, along with Snorre Sletvold, President of the Norwegian electric vehicle association, presented their arguments for a cleaner Phuket to Phuket Governor Norraphat Plodthong at Provincial Hall yesterday afternoon. Present to support their call was Thai Ambassador to Norway Prasittiporn Wetprasit. 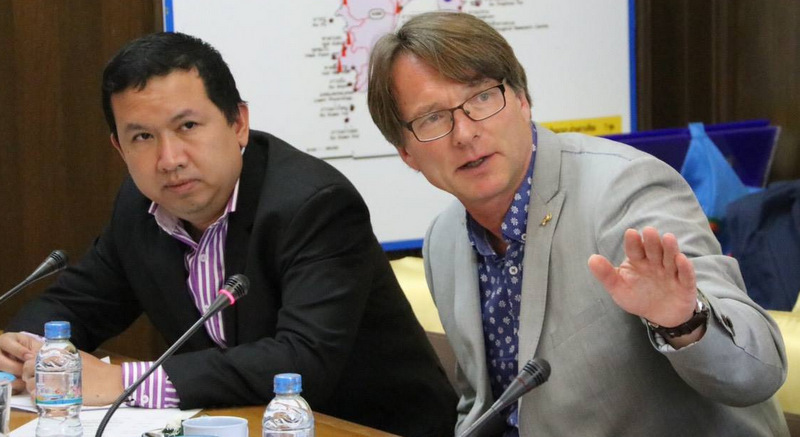 The proposal was to look at supporting the use of EVs in Phuket as part of the Phuket Smart City project, starting with a feasibility study on installing the infrastructure needed. “The government has a policy to promote the use of electric vehicles to reduce pollution, reduce global warming, which is a major problem in many countries around the world,” said Amb Prasittiporn. “One solution to solve the problem is the use of electric cars, or EVs, and many countries are now beginning to push people to use more electric cars,” he added. Amb Prasittiporn pointed out that Norway is leading the way as one of the countries with the most electric car users in Europe. “The venture will be the start of a long-term partnership that will drive tangible results,” he said. 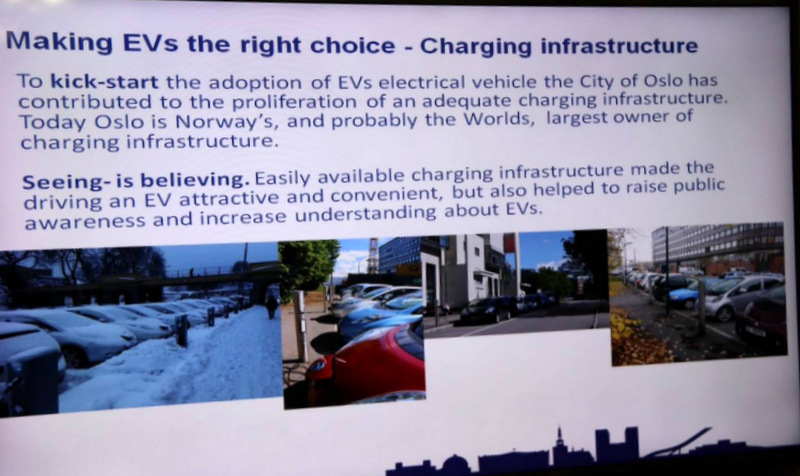 In a report by the Agency for Urban Environment, City of Oslo, Mr Portvik pointed out that installing the charging infrastructure was the launch point for any drive toward EV use. 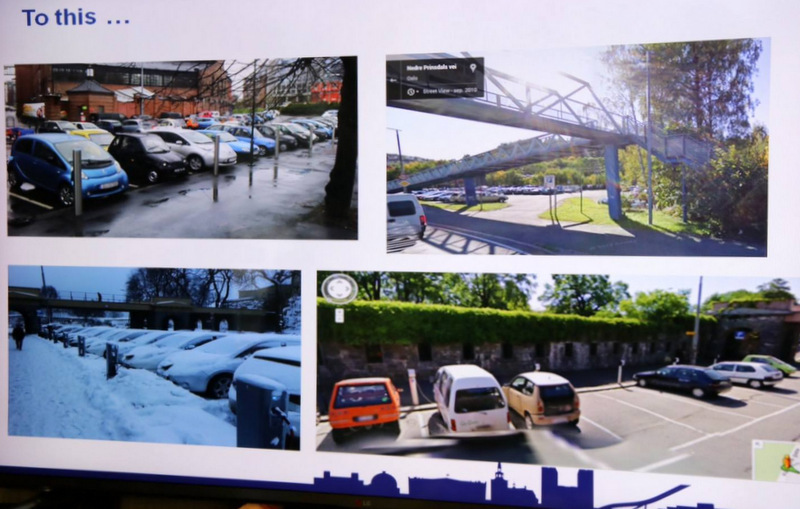 “To kick-start the adoption of EVs electrical vehicle the City of Oslo has contributed to the proliferation of an adequate charging infrastructure. Today Oslo is Norway’s, and probably the world’s, largest owner of charging infrastructure. “Seeing is believe. Easily available charging infrastructure made the driving an EV attractive and convenient, but also helped to raise public awareness and increase understanding about EVs,” he wrote. Governor Nopparat supported the idea. “Phuket is ready to push forward with this project. 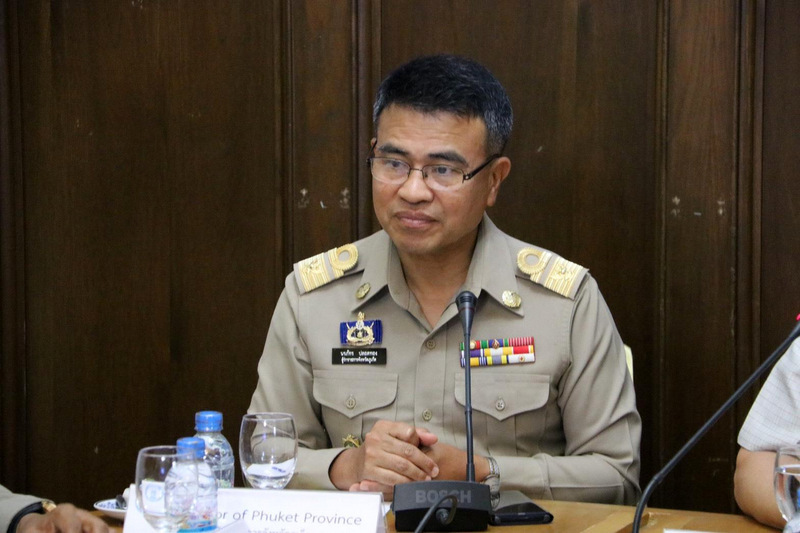 Phuket will launch this as a pilot project in accordance with the Smart City policy,” Gov Norraphat said. 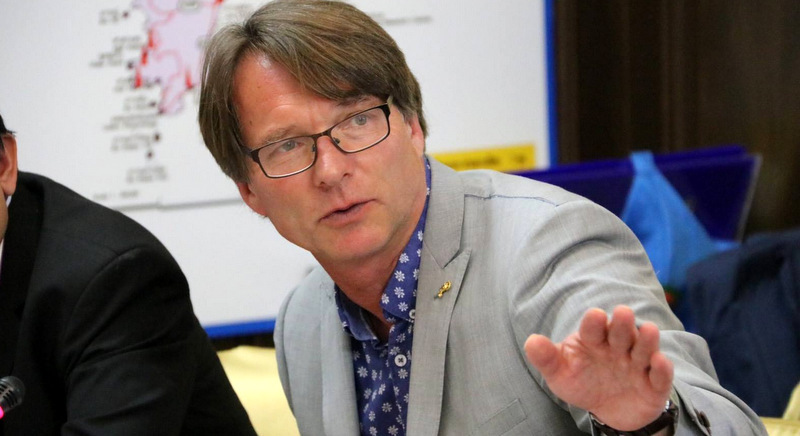 “Smart Environment and Green City are both set in the provincial development plan and to promote the use of electric vehicles, or Evs, is consistent with this – and may even start with public service vehicles,” he added. 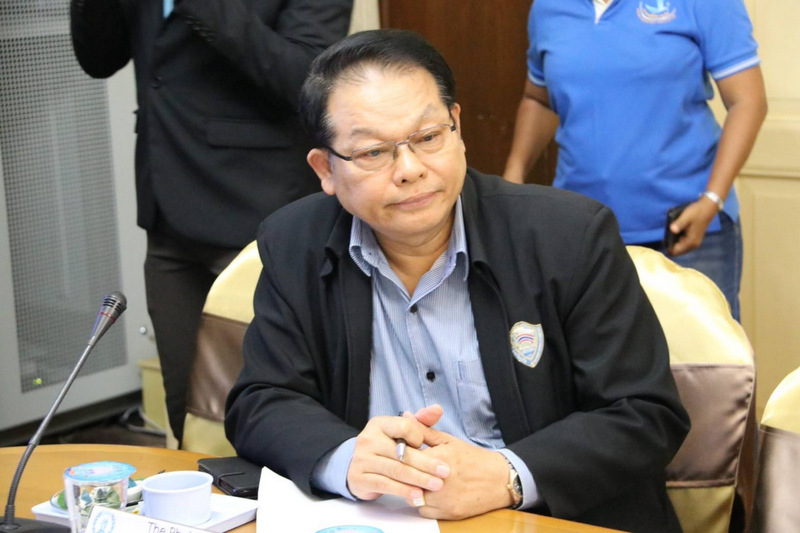 “It is government policy to encourage the use of electric cars to reduce pollution in response to global changes in the future,” Gov Norraphat said. "EV's must be cheap to buy"... So stop the 300% import tax nonsense and make it even possible to buy one in Thailand. No one's going to buy an EV if they're not even for sale now are they. Everything said makes perfect sense, and none of it will happen here for at least a decade. Nice fluff piece though, just like the 'Smart City' thing, good for face making. Try to oblige first 'smoking' busses, lorries, trucks, mini vans installing sufficient exhaust piping. Act realistic smart. Would be a great idea if the electricity required will come from hydro electric and other renewable sources like in Scandi, but in thailand it just pushes the pollution to the coal fired power stations. Very much horse before the cart stuff, why Phuket?? Its already got so many more important basic infrastructure issues to solve with authorities demonstrating their mostly utter incompetence, electric cars, how about they actually learn HOW to drive first, environmental awareness doesnt exist in Thailand!